The state champion Crane High School Air Rifle team is pictured above. In the back row, from left to right, Jan Morris (State Air Rifle Director), Trevor Funcannon, Elijah Wilson and Rowhan Graham. Front row: Sadie Guess, Brooke Hultz, Erykah Lasiter, Garrett Jones and Coach Tracy Flood. 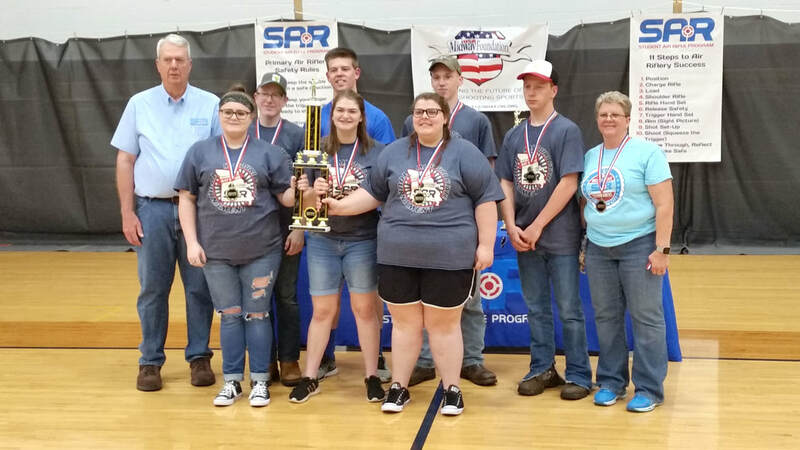 Crane Air Rifle Teams traveled to Jefferson City on Saturday, May 5 to compete in the Student Air Rifle (SAR) state tournament. When all scores were recorded the High School team placed 1st and the Middle School team placed 3rd. Individually, Elijah Wilson placed 2nd in the male division with a 271. Sadie Guess placed 1st in the female division with a 266, she was the top female and along with her trophy she brought home another Embark air rifle. ​Coach Tracy Flood is proud of her teams’ achievements this year. “Congratulation to all of the shooters on the Crane Air Rifle Teams!” she said. 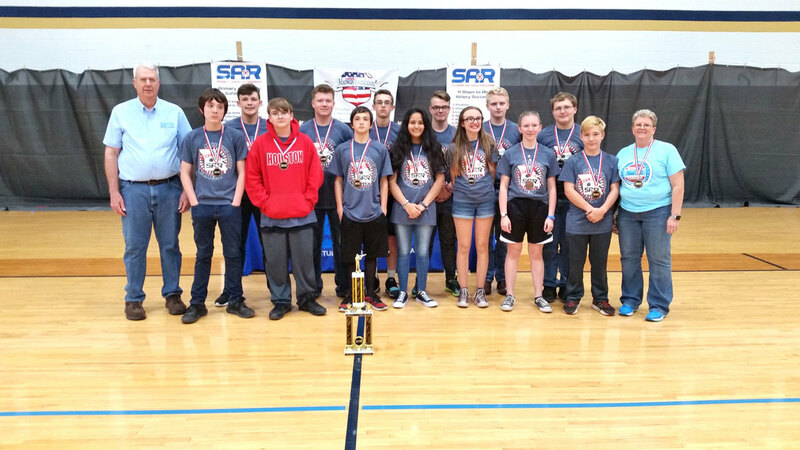 The Crane Middle School Air Rifle team, pictured above, won third place at the State tournament on Saturday, May 5. In the back row, from left to right, are Wyatt Howard, Trapper Moore, Aric Spyres, CJ Lasiter, Averill Cates and William Black. Front row: Jan Morris (SAR Director), Nate Fonner, Tyler Laye, Jake Barcelles, Ali Lopez, Sophia Beard, Aubree Chisam, Christian Church and Coach Tracy Flood.